Royal Enfield Dumps 250 Customers in India? 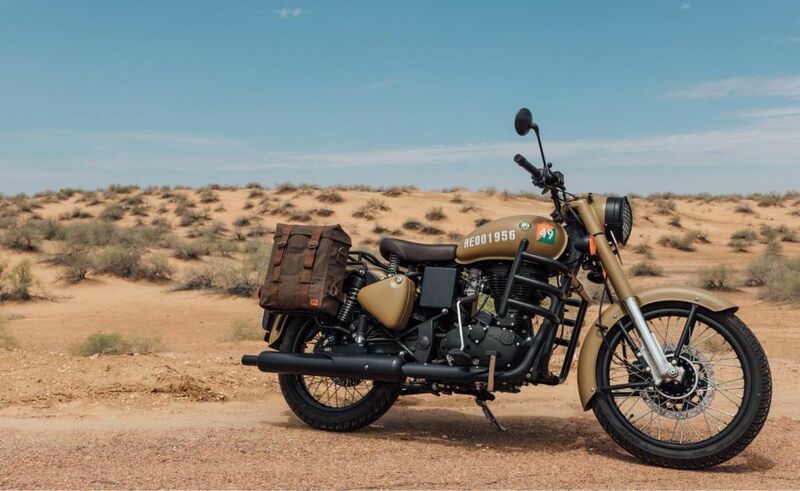 Home Bikes News Royal Enfield Dumps 250 Customers in India? 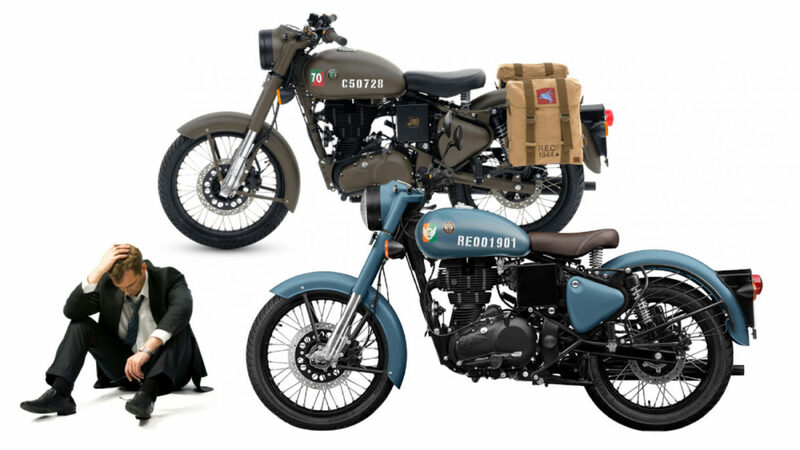 Not long ago, Royal Enfield, the legendary retro motorcycle maker, launched the Peagasus 500 Limited Edition motorcycle. Based on the Classic 500, the Pegasus 500 comes with bespoke elements that give the motorcycle a distinct look. These unique features pay homage to the British Army and are symbolic to the company’s association with the World War II. 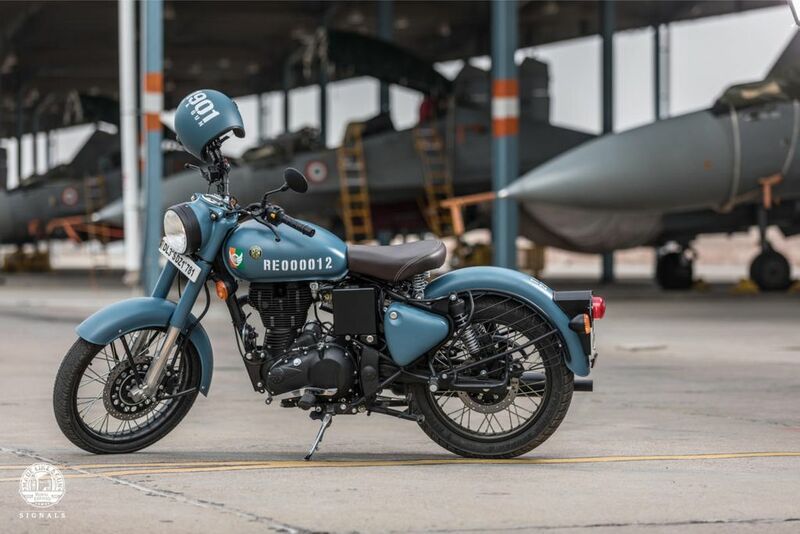 The Royal Enfield Pegasus 500 was launched at an ex-showroom price of Rs 2.49 lakh, which made it a pretty expensive proposition. Its production was limited to just 250 units and the entire stock was lapped up by the RE aficionados within moments of the commencement of the sale. And just when we thought that the Pegasus owners would have been feeling like a special lot, Royal Enfield dropped a bomb on them by launching the Royal Classic Signals 350 – a motorcycle that not only comes with all the unique features of the Pegasus but also gets a dual channel ABS. What’s more, the Signals isn’t even a limited edition model. Plus, at Rs 1.61 lakh, the Royal Enfield Signals 350 is significantly cheaper. 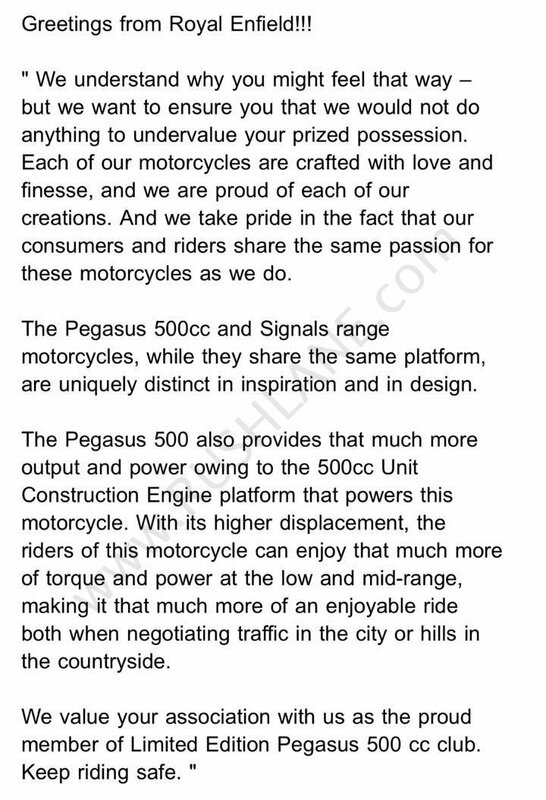 Several Pegasus owners, who have bought the supposedly unique motorcycles by paying a premium, are feeling cheated. Some have even written to Royal Enfield to express their displeasure.